The New Trailblazers: Women Reshaping Life Sciences Innovation Join us for an afternoon of pitches, panelists and insider strategy from some of the brightest lights among female founders and entrepreneurs at the forefront of Canada’s life sciences sector. Novateur is delighted to sponsor this evening with Chantal Petitclerc during Health Innovation Week. Please join us and your fellow women in tech for an evening of wine, hors d’oeuvres and plenty of inspiration to fuel your own personal and professional growth. Novateur is proudly co-sponsoring The Sweet Pharma Day, which is an invitation-only event taking place in the Greater Montreal area. It provides small biotech CEOs to closely interact with the global division of large pharma companies and key venture capital funds with a unique opportunity to build future collaborations and partnerships with the sweet pleasure of maple syrup. Bloom Burton hosts its annual Healthcare Investor Conference in Toronto, Canada. They host approximately 60 of Canada’s premier publicly-traded and venture-backed private companies together with the most promising pre-venture companies in the healthcare industry. Ali Ardakani, Novateur Founder & Managing Director will be chairing a session on current and future trends of medical device financing and partnership. Held at MarS Discovery District in Toronto on May 9 and at the Vancouver Terminal City Club on May 23, 2019. Industry experts from across North America will converge in Vancouver and Toronto to network and discuss 2019 trends, opportunities and strategies with other industry entrepreneurs and veterans. LifeSciences BC Access to Innovation brings together people who are committed to innovation. Serving as a meeting place to share ideas, this annual conference plays a critical role and is hugely important for all of those who are a part of innovation in healthcare. Exploring different perspectives and ideas is important because it enriches the whole sector. Stakeholders include: Academia, Health Institutions, Government, Centres of Innovation, SMEs, Multi-national Corporates, Investors and Payers. Ali Ardakani, Founder & Managing Director of Novateur and Vice Chair of the LifeSciences BC Board of Directors, was delighted to chair the afternoon session at LifeSciences BC Access to Innovation 2019. The LifeSciences BC 4th annual ACCESS TO INNOVATION Conference held at the Vancouver Convention Centre explored challenges and explored a variety of solutions to move life sciences innovation forward. The conference included stakeholders from: Academia, Health Institutions, Government, Centres of Innovation, SMEs, Multi-national Corporates, Investors and Payers. Topics discussed encompassed the need to engage in innovation and how it could affect life sciences organizations by leveraging talent and technology across the country. Attendees met with different stakeholders, and learnt the many ways to engage with Canada’s wide innovation ecosystem. Novateur was delighted to provide a comprehensive & interactive list of the networking events happening around the J.P. Morgan Health Conference 2019. Our Networking Navigator included over 150 networking events from a variety of hosts. The BIO-Europe 2018 partnering event, held between November 5 – 7, 2018 in Copenhagen, Denmark brings together over 4,000 industry attendees for three days of high level networking, representing more than 2,000 companies from over 60 countries. Attendees include a wide range of business leaders, including senior executives of leading biotech companies, business development teams from large and midsize pharmaceutical companies, investors and other industry experts. The “LifeSciences BC Workshop: How to be Investor Ready“, held on November 1, 2018 aims to provide key information, tips and real-world examples of how a company can prepare itself to successfully attract investors and raise capital. Organized by LifeSciences BC, the Investor Summit, held on October 25, 2018, brings together stakeholders in the healthcare innovation ecosystem for an exciting day of company presentations, keynote speakers and panel discussions. Entrepreneurs share their stories and seek engagement from a wide range of investor stakeholders including; angel investors, venture capital firms, corporate ventures and funding foundations. Following the Global Perspectives on Early-Stage Investment & Partnering event on October 3, 2018, Novateur Ventures and Accel-Rx organized a unique networking opportunity for an exclusive group of Canadian entrepreneurs and innovators in Life Sciences and key strategists and foreign investors. The RESI conference takes place in San Francisco in January, in Toronto in April, in Boston in June & September, and in New York City in November. Fundraising CEOs have a venue to meet early stage investors that are a fit for their sector and stage every three months, providing a great ROI for cost conscious CEOs. The annual Life Sciences themed investor meeting, where VANTEC Angel Network invites and selects BC’s most promising Seed and Series A companies in the Medical Device, Pharma/Biotech, Digital Health, and Health IT sectors. Companies from across BC are invited to apply to pitch and we welcome investors referrals of their portfolio companies. Companies who are upvoted by the investors during the June 13 meeting are invited to participate in the Cascadia Venture Forum (CVF) to be held during Fall 2018 in Seattle. Showcase advancements during CDL 2017/18 year. Develop objectives for the coming year with CDL Fellows & Associates. Discuss and finalize early stage financing and investment. Network with and hire top technical and business students. Show off new technologies to an international audience. Explore international partnerships with suppliers and customers. Attendees will see new and exciting applications of diverse technologies including artificial intelligence, quantum computing, biological engineering, financial technology, energy technology, water technology and green engineering. The technologies on display will have wide-ranging implications for industries including energy, healthcare, construction, insurance, finance, computing, and agriculture. Medical Device Commercialization Playbook, Canada’s premiere event for medical device professionals, is returning to the Vancouver in 2018. The date and venue to be announced soon. A full day of industry speakers and panels from British Columbia and across North America will discuss what it takes to Get Your Product Right. Network and learn 2018 trends, opportunities, and strategies for: Entrepreneur Case Studies, Getting the Product Right, and Clinical/Regulatory advice from industry veterans. Our future is being shaped by technology that’s evolving faster than we ever imagined. From AI machine learning to virtual and augmented reality, technology is revolutionizing every part of our economy, from how we do business in today’s global marketplace to how our traditional industries operate. In this wave of digital transformation and amidst the adoption of increasingly complex technologies, how can YOU breakthrough and make smart, informed, data-driven decisions to succeed? Hear from tech leaders who are already pushing the boundaries of innovation and creating the jobs of the future. Join thousands of like-minded participants and explore how technology is driving cross-industry growth and change, and what companies need to do to emerge as global leaders. Medical Device Commercialization Playbook 2018, Canada’s premiere innovation and commercialization event for medical device professionals, is coming to the MaRS Discovery District on May 8, 2018. A full day of industry speakers and panels from across North America discuss what it takes to Get The Product Right. Network with industry veterans and learn 2018 Entrepreneurial Strategy for Innovation, Getting the Product Right, Deal-making, and Navigating the Clinical/Regulatory Environment. LifeSciences BC’s 20th Annual LifeSciences BC Awards is an opportunity to celebrate our community’s many achievements, small wins and big victories, with our peers, family and friends. This is our moment to recognize and honour the efforts of all those who have invested their life’s work in mastering successful health outcomes. Innovations can cover the spectrum of disease areas, including cancer, infectious diseases, neurology, ophthalmology, cardiovascular, nanotechnology, and beyond. Many of them involve rare or neglected diseases that afflict either very small populations or people in developing countries. It is hard and relentless work that takes dogged perseverance to capture discovery from bench to bedside. Join Luke Timmerman on his quest to the summit of Mt. Everest, the highest mountain in the world, to support cancer research at Fred Hutch. Follow the news and you know: Scientists are more than just chipping away at cancer. They are kicking down the barricades. Cell therapies are, at long last, delivering lasting remissions in a few indications. Small molecules and antibodies with new mechanisms of action – sometimes in clever combination – are raising the bar, making cancer more of a chronic and tolerable disease. Underlying information on gene mutations, dysregulated protein networks and the tumor microenvironment provide a vivid glimpse of malignancy at the molecular level, and a wellspring for new therapeutic ideas. Much of this progress is occurring here on the West Coast. Hear from the leaders in Big Biotech, venture capital, and emerging startups at The Seattle Cancer Summit, March 5 and at The Boston Cancer Summit, March 7. All proceeds go to the Mt. Everest Climb to Fight Cancer campaign at Fred Hutchinson Cancer Research Center. The Blakes Breakfast Speaking Series is LifeSciences BC’s longest-standing event series and one of the most popular. Held four times a year, these breakfasts include presentations by local, national and multinational life science companies and typically attract a cross-section of approximately 40 of our life sciences community members. One of LifeSciences BC’s longest-standing event series – and one in which the attendees see the most value. Held twice a year, these events start with presentations on specific topics by local representatives of LifeSciences BC members. Typically, the event is attended by a cross-section of approximately 40 of our life sciences community members representing mainly industry, NPOs, and Government. 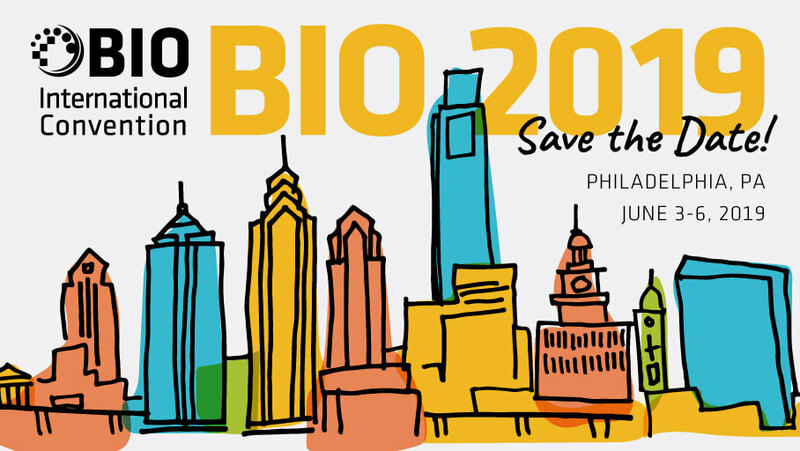 The BIO CEO & Investor Conference is one of the largest investor conferences focused on established and emerging publicly traded and select private biotech companies. Because BIO’s mission is to support industry-wide success, they present a broad and unbiased view of investment opportunities. Join LifeSciences BC at the 3rd annual ACCESS TO INNOVATION Conference at the Vancouver Convention Centre. Stakeholders include: Academia, Health Institutions, Government, Centres of Innovation, SMEs, Multi-national Corporates, Investors and Payers. Biotech Showcase is considered a critical strategic benchmark for business development activities and one of the year’s most important investor conferences. Meet with hundreds of investors, including institutional, private equity, angel and venture investors in search of innovative life sciences and biotech companies. In 2018, J.P. Morgan expects more than 400 companies, both public and private, to deliver presentations to more than 8,000 attendees. The conference provides a unique opportunity for investors to visit with so many inter-related industry leaders in one setting. The Redefining Early Stage Investments (RESI) Conference is an ongoing conference series that will be establishing a global circuit for early stage life sciences companies to source investors, create relationships, and eventually, get funding. The RESI conference focuses on the diverse breadth of early stage investors that LSN tracks, including Family Offices, Venture Philanthropy Funds, VCs, Angel Groups, Corporate Venture Capital Funds, and more. Come and meet your peers in Metro Vancouver’s medical technology industry and join LifeSciences BC community for a festive evening of networking and socializing. Your ticket includes a burger and a choice of one: beer, glass of house red or white wine or a well highball drink. LifeSciences BC have brought together a panel of industry experts to discuss the issues affecting the emerging cannabis industry. The panel members will address public and private finance for cannabis companies and regulatory matters affecting the industry. Event topic: Beyond the Science, Who is Your Market? The McCarthy Spotlight Speaking Series is one of LifeSciences BC’s longest-standing event series. Held twice a year, these events start with presentations on specific topics by local representatives of LifeSciences BC members. Typically, the event is attended by a cross-section of approximately 40 of our life sciences community members representing mainly industry, NPOs, and Government. Members of the LifeSciences BC Board of Directors visited the Legislative Assembly of British Columbia in Victoria, where they met with sitting Government officials and the Official Opposition. Ali Ardakani, Managing Director at Novateur Ventures, spoke at the BioTech Pharma Summit 2017 about the best practices of companion diagnostics for better drug development and successful reimbursement. In his presentation he looked at several best and worst cases of challenges of developing companion diagnostics and how the fait of both the drug and diagnostics changed based the clinical outcome. INVEST IN BC 2017 brings together stakeholders in the healthcare innovation ecosystem for an exciting day of company pitches. Entrepreneurs tell their stories, get feedback and engagement from a wide range of investor stakeholders including; angel investors, venture capital firms, corporate ventures and funding foundations. Novateur was one of the sponsors of Invest in BC 2017. The 2017 Interface Health Summit presents two full days of being engaged, informed, inspired and connected to digital health innovators. 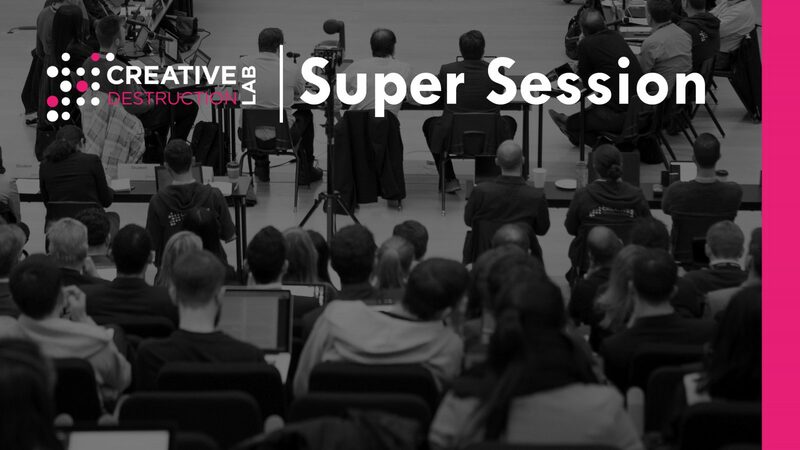 Enjoy amazing talks, take part in reverse startup pitches and educational sessions, meet investors from Canada, Silicon Valley, and China – investors who manage hundreds of millions in innovation funds! Watch the Top 10 Grand Finale of #IHCX2017 and Awards Show live. The CVF Vancouver Regional Forum hosted by VANTEC Angel Network is a half-day event packed with engaging company presentations by BC’s top fundraising health innovators who are pre-screened, validated, and investor-worthy. In addition, there will be informative panel discussions about investing in Health Innovation by thought leaders in the ecosystem. Ali Ardakani, Managing Director of Novateur Ventures was a panelist at the Cascadia Venture Forum – Vancouver Regional Forum. The Panel Topic was Building Value and Preparing for an Exit – What Exit Partners Are Looking. A unique opportunity to hear from Karl Handelsman, Investment Director of Roche Venture Fund on lessons learned from a venture capitalist investing in early stage pre-clinical therapeutic companies. Their mission: “The Roche Venture Fund invests to develop commercially successful innovative life science companies.” The fund is a CHF 500 million evergreen fund that invests in life science companies in both pharmaceuticals and diagnostics with a focus on financial returns. Their offices are located in Basel, Switzerland and San Francisco. His speech topic was “Winning Strategies for Biotech Startups”. He discussed the strategies companies deploy to cross the “Valley of Death” to build value. He also covered some of the destructive myths about biotech and venture. Karl Handelsman has been a biotech venture investor for 18 years, prior to that he worked in business development at two biotech startups that were each acquired for billions. The BIO International Convention attracts over 15,000 biotechnology and pharma leaders who come together for one week of intensive networking to discover new opportunities and promising partnerships. This event covers a wide spectrum of life science and application areas including drug discovery, biomanufacturing, genomics, biofuels, nanotechnology and cell therapy. Novateur sponsored the BIOTECanada’s Coast to Coast Competition in the BIO 2017 Canadian Pavilion. 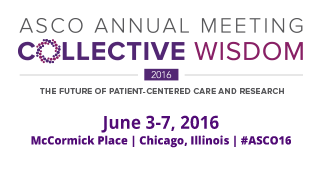 The Annual Meeting brings together 30,000 oncology professionals from around the world. Educational sessions feature world-renowned faculty discussing state-of-the-art treatment modalities, new therapies, and ongoing controversies in the field. Science sessions present the latest ground-breaking research in oral and poster format. LifeSciences BC’s 19th Annual LifeSciences BC Awards is an opportunity to celebrate our community’s many achievements, small wins and big victories, with our peers, family and friends. This is our moment to recognize and honour the efforts of all those who have invested their lives’ work in mastering successful health outcomes. 2017 theme, Translating Insights into Action, will consider the companies, organizations, individuals and institutions that have successfully taken ideas and brought those innovations to life. Successfully aligning and implementing the many research functions and corporate components that disrupt the usual and well-worn, by creating, developing or advancing new therapeutic solutions in clinical and translational medical science. Novateur was proud to be a co-sponsor of the 19th Annual LifeSciences BC Awards. Ali Ardakani, Managing Director of Novateur presented the award “Growth Stage Life Sciences Company of the Year”. Medical Device Commercialization Playbook 2017, Canada’s premiere event for medical device professionals, is coming to the Vancouver Convention Centre on April 4, 2017. A full day of industry speakers and panels from British Columbia and across North America will discuss what it takes to Get Your Product Right. Network and learn 2017 trends, opportunities, and strategies for: Entrepreneur Case Studies, Getting the Product Right, and Clinical/Regulatory advice from industry veterans. Spend a day at the Vancouver Convention Centre sharing expertise, learning, and collaborating to foster innovation. Novateur team attended this event and Ali Ardakani, the Managing Director of Novateur delivered a speech on “Nitric Oxide – A Comeback Story“. Medical Device Commercialization Playbook 2017, Canada’s premiere innovation and commercialization event for medical device professionals, is coming to the MaRS Discovery District on March 30, 2017. A full day of industry speakers and panels from across North America discuss what it takes to Get The Product Right. Network with industry veterans and learn 2017 Entrepreneurial Strategy for Innovation, Getting the Product Right, Deal-making, and Navigating the Clinical/Regulatory Environment. The #BCTECH Summit is the largest technology conference in British Columbia showcasing the province’s vibrant technology industry. Attend, build cross-sector opportunities for your business and explore the latest ideas and innovations fueling our economy today. From innovations in eHealth data, autonomous vehicles and customer experience, to emerging ideas in cleantech, agritech and aerospace, the two-day event will give you the information and tools you need to move forward in a world where technology is impacting every part of our economy – and our lives. The #BCTECH Summit brings together tech entrepreneurs, anchor companies, business leaders from traditional industries, investors, government and academia to establish new connections, nurture existing networks, and exchange fresh ideas around innovation driving business growth. At the Westin St. Francis in San Francisco, the annual J.P. Morgan Healthcare Conference brings thousands of investors from around the world together. The hundreds of companies presenting run the gamut, from start-ups to those with more than $300 billion in market cap, and encompass the entire global healthcare landscape, including pharmaceutical firms, healthcare service providers, profit and not-for-profits, and medical device companies. LifeSciences BC is pleased to feature Novateur Ventures Inc. and LivaNova Canada Corp. at the McCarthy Spotlight Speaking Event on “Exporting to the U.S. and interesting trends to be aware of at the FDA”. Dr. Thomas Stephens has more than 25 years of experience in pharmaceutical development and he contributed to multiple INDs and CTAs in the USA, Europe, Australia, South Africa, India and Mexico. Dr. Stephens has several years of experience in Lilly global regulatory affairs as Chief Operating Officer and Senior Regulatory Scientist within USA regulatory affairs in therapeutic areas of diabetes, obesity and endocrine therapeutics, including pulmonary insulin, growth hormone, basal insulin, leptin and beta3 adrenergic receptor agonist. Dr. Stephens previously worked as Clinical Research Advisor / Asset Manager and Chief Regulatory Officer of the Chorus Division and he has managed seventeen Phase I-II development programs in a range of therapeutic areas (migraine treatment and prevention, chronic pain, depression, cognition, anti-thrombotics, postmenopausal symptoms, type 2 diabetes, osteoporosis, osteoarthritis, rheumatoid arthritis, transplant rejection and obesity). Dr. Stephens was responsible for developing initial global regulatory capability through contract resources and development of a global internet-based network for coordinating development. The Chorus Group is an autonomous division of Eli Lilly and Company; Dr. Stephens with two other founders developed business processes, defined and developed roles and SOPs for Chorus. Dr. Stephens also spent several years in pre-clinical through Phase II project management (therapeutic areas including cancer, cognition, antiviral, anti-thrombotic, lupus, rheumatoid arthritis, and sepsis) in the LRL Project Management group. He has also led discovery research programs in diabetes and obesity therapeutics including research on leptin, thiazolidinediones and amylin. Prior to work in drug and device development, Dr. Stephens was a supervisor of research and quality assurance for an in-vitro diagnostics company as well as general manager for another. Dr. Stephens received his PhD degree in Biochemistry with minor in Biomathematics from Indiana University School of Medicine and he has RAC (US) professional certification. Dr. Carol Stephens has 28 years of experience in drug development and support with focus on regulatory planning, negotiation, execution, and compliance. She has worked on 6 successful new NDAs and BLAs and 4 supplements for new indications as well as INDs. Dr. Stephens worked for 25 years at Eli Lilly and Company where she focused on CNS, cardiovascular, endocrine, and oncology drugs, in vitro diagnostics, and drug-device combinations. In Regulatory Affairs at Lilly, she supported products from early clinical phases through submission, approval and market growth. Her experience includes regulatory strategies for obtaining product approvals and negotiations with regulatory authorities backed up by her expertise in US and international regulations, guidances, and agency precedents. Dr. Stephens has broad experience in using desired physician’s prescribing label claims as driver of the development process. In addition to roles within Regulatory Affairs, Dr. Stephens has served as a manager of clinical trials, alliance manager of partnerships with US and international biotechs, and project manager of drug and device development. Dr. Stephens received her PhD in Communications from the University of Wisconsin, and she has a number of publications in the pharmaceutical industry. LifeSciences BC’s Access to Innovation Conference brings together academia, health institutions, government and industry to engage in discussions on how we can improve on access to innovation. Attracting over 300+ participants last year from B.C., Canada and internationally. Day 2 – Health System Perspective: Models of innovation uptake into healthcare systems and how to accelerate Market Enablers. We are proud to announce that Novateur is a gold sponsor of the Cascadia Venture Forum 2016. The Cascadia Venture Forum is poised to become the Pacific Northwest’s premier seed financing investment forum for life science start-ups. It is a key driver in the establishment of a thriving life sciences innovation cluster that spans the entire Pacific Northwest including British Columbia, Washington and Oregon. Angel investors, venture capitalists, industry players and other innovation ecosystem members are invited to attend a half-day session of fast-pitches and in-depth investment presentations by pre-screened, validated and investor-ready companies. Managing Director of Novateur, Ali Ardakani, was speaking about “Virtual Drug Development” at the INTERFACE Health Summit 2016. We invite you to come to Vancouver – one of the world’s most creative and healthiest cities – and the Vancouver Convention Centre – a spectacular feat of green architecture right on the Pacific Ocean, next to Stanley Park and across from the North Shore mountains. Come to meet some remarkable people, share your ideas and discuss THE FUTURE OF HEALTH! The INTERFACE Health Summit 2016 is the fifth annual global conference. It is a two-day event created to engage, inform, inspire and connect digital health innovators and other health stakeholders from Canada and around the world. The annual invitation only conference is attended by more than 200 international participants from Asia, the United States and Europe who join us to network with senior decision makers from biotech and pharmaceutical companies as well as Venture Capital and investor groups. Redefining Early Stage Investments is an ongoing conference series establishing a global circuit for early stage life science companies, active investors, and various service providers to meet, create dialogues and start relationships – ultimately moving science and technology forward. The RESI Conference series brings together fundraising CEOs and early-stage investors from around the globe, providing the opportunity for dialogue and relationship building, with the goal of eventual capital allocations. Novateur team attended the RESI Conference in Boston. MaRS Discovery District (MaRS) is collaborating with Life Science Nation (LSN) and Johnson & Johnson Innovation, JLABS (JLABS) to bring the Redefining Early Stage Investments (RESI) Conference to Toronto on June 23, 2016. Novateur team attended the RESI Conference in Toronto. With a long and strong 20 year history, the Annual Novateur Salmon Barbeque offers the life sciences community the opportunity to enjoy a great meal in the company of 100+ peers in a breathtaking setting. Held each June at the scenic Cecil Green Park House. Novateur is proud to be the annual sponsor of the event. The BIO International Convention attracts 15,000+ biotechnology and pharma leaders who come together for one week of intensive networking to discover new opportunities and promising partnerships. The 160,000+ square foot exhibition features more than 1,800 exhibitors including 55 state, regional and international pavilions and 8 specialized product focus zones. Novateur team attended the BIO International Convention 2016. Novateur team attended the ASCO Annual Meeting 2016. Innovative healthcare companies are a core element of the life sciences ecosystem and together with academia, health delivery institutions, clinicians and governments, these companies are fundamental to the growing bio-economy. This event will bring together a best-in-class, innovation centric, emerging and growth oriented life science companies from BC. The goal is to showcase the outstanding innovation, science, products and services that these companies offer; shared through their entrepreneurial leadership. These growing companies are not only about creating value, they are dedicated to having a compelling impact on patients. Novateur team attended this event. Bloom Burton is hosting its fourth annual Healthcare Investor Conference on May 2 and 3, 2016, at the Sheraton Centre Toronto Hotel, Toronto, Canada. We will host approximately 60 of Canada’s premier publicly-traded and venture-backed private companies together with the most promising pre-venture companies in the healthcare industry. The event will attract Canadian, U.S. and International investors who are interested in the latest developments in Canadian healthcare companies. Investors will have the opportunity to obtain corporate updates from presenting companies, and participate in our 1-on-1 meeting system with company management. Novateur team attended the Bloom Burton & Co. Healthcare Investor Conference 2016. LifeSciences BC’s 18th Annual LifeSciences BC Awards is an opportunity for the life sciences community to celebrate our work together. Recognizing the value creation continuum of the life sciences sector, we celebrate and honour those in our B.C. community who successfully position our province as a competitive global cluster. B.C. has found its place on the international life sciences stage and is recognized in Canada and beyond for its significant accomplishments in medical technology, biopharmaceuticals, health delivery systems, and medical research & development initiatives – the envy of many. We have reached beyond our borders to impact patient health and connect to the world at large, while ensuring the life sciences sector here at home remains vibrant and sustainable. This year’s theme, Local Catalyst – Global Connectivity, reflects those in our community who impact the local ecosystem so that B.C. can connect with the global life sciences community. Novateur team attended the Medical Device Commercialization Playbook 2016. ROTH Capital Partners invites you to the 28th Annual Conference. This conference is one of the largest of its kind in the U.S. Following the success of previous year’s events, the ROTH Conference, with close to 550 participating companies and over 4,000 attendees, will feature presentations from public and private companies in a variety of sectors. This gathering of institutional investors, private equity investors, VCs, company executives and service providers has become a must attend event for anyone working in the small and mid-cap space. Novateur team attended the 28th Annual ROTH Conference. The BIOTECanada Investor Summit presents a unique and timely opportunity for investors, commercial partners and pre-commercial companies to connect, network and explore investment/partnership opportunities within the Canadian biotech industry. Each year ten emerging companies in search of investment capital are provided the opportunity to present their company and therapy to the investors and pharma partners. Novateur proudly sponsored the reception of the BIOTECanada Investor Summit at the Whistler Sliding Centre. The #BCTECH Summit is a two-day event that will showcase BC’s vibrant technology industry, build cross-sector opportunities for businesses and explore the latest ideas that will drive a competitive advantage for British Columbia. Novateur was exhibiting at the #BCTECHSummit 2016 as a part of the LifeSciences BC pavilion. Biotech Showcase™ is an investor and networking conference devoted to providing private and public biotechnology and life sciences companies with an opportunity to present to, and meet with, investors and pharmaceutical executives in one place during the course of one of the industry’s largest annual healthcare investor conferences. Novateur team attended the Biotech Showcase™ 2016 company presentations and workshops, as well as participated in one-on-one networking sessions with numerous biotech companies. We founded Novateur this year with one mission: to provide virtual, world class solutions to biotech, med-tech, and pharmaceutical companies for the purposes of advancing their product development smarter and faster while spending less. Access to Innovation is bringing together health and life sciences stakeholders to present, discuss and deliver meaningful ways to improve collaboration, develop and deliver innovation, while improving outcomes and saving cost. Irina Chan is a 4th year student of Microbiology and Immunology at the University of British Columbia in Vancouver and she is interning for the Centre for Drug Research and Development (CDRD) at the division of Biologics. She attended the 19th Annual LifeSciences BC Salmon BBQ presented by Novateur and entered our giveaway. Irina is the lucky winner of an iPad mini and received her prize from Ali Ardakani, the Managing Director of Novateur. Held each June at the scenic Cecil Green House, LifeSciences BC Annual Salmon Barbeque has become one of most popular events of the year. It offers members of life sciences community the chance to come out and enjoy a great meal in the company of peers in a breathtaking setting – and without the formality of a sit-down banquet. It’s a great chance for the community to come together for some networking in a relaxed environment. BIOTECanada, published the Fall 2018 issue of its Insights magazine featuring an article about how the Life Sciences and Biotechnology companies in Canada are overcoming some of the challenges they face by adopting new, collaborative and agile business models. The article features how Novateur Ventures fills a void in the industry to bridge the gaps that novel therapeutics, diagnostics, medical devices innovators face. BIOTECanada, published the Spring 2017 issue of its Insights magazine featuring an article featuring the challenges faced by the Life Science industry and how Novateur Ventures brings a wealth of deep & diverse experience in its Virtual Teams to help Life Sciences companies bring their products to market.